In the Enforcer Decoys Ultimate Package No2, you get all four of the Enforcer Decoy products to enhance your pigeon decoying. 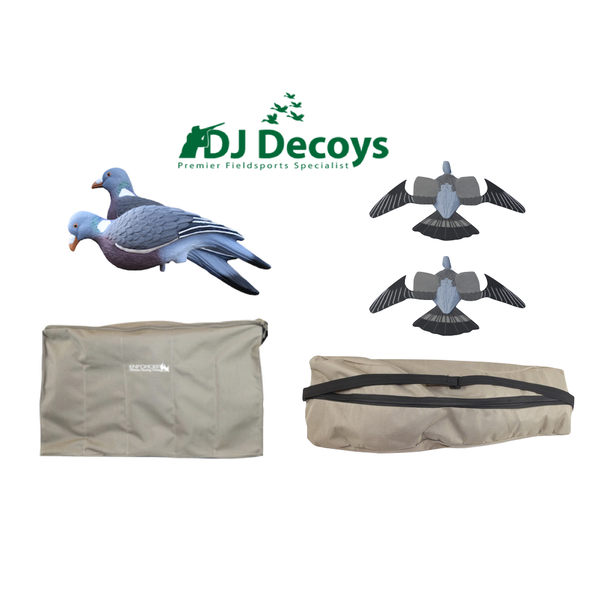 You get the ever popular Enforcer Pro Series Pigeon Decoys giving you the most realistic full body pigeon decoys along with the Enforcer 10 slotted decoy bag the only dedicated 10 slotted decoy bag made for the Enforcer Pigeon Decoys and a twin pack of the ALL NEW Enforcer Flying Pigeon Decoys, which will give you life like movement of wood pigeons coming in to your decoys pattern in the slightest of breezes or the strongest of winds. And the NEW Enforcer flying Decoys Bag to carry your enforcer flying decoys in safely and free from mud. 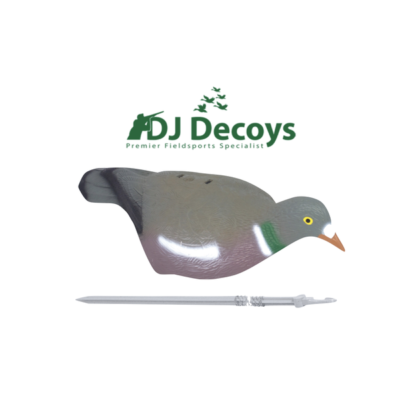 10, Enforcer Pro Series Pigeon Decoys. 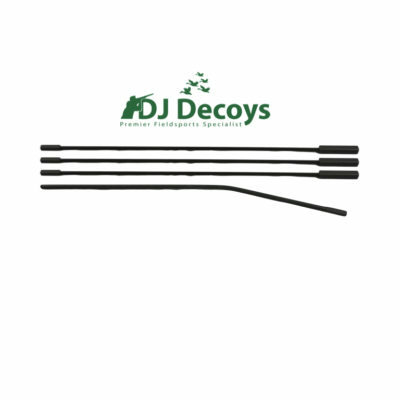 1, Enforcer 10 slotted Decoy Bag. 1, Pair Of Enforcer Flying Pigeon Decoys. 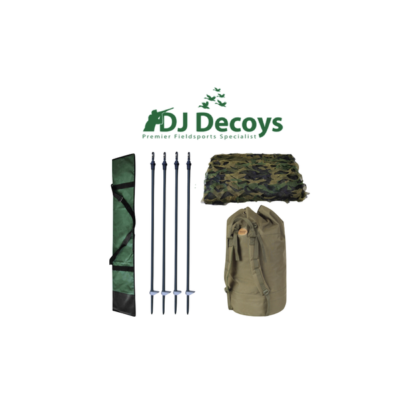 1, Enforcer Flying decoy Bag.